Flint faces the great unknown as he ages out of foster care and is sent out to make his way in the world. His dreams of an internship with a famous artist are first overshadowed by doubt, then by his friend Lila's strange revelation that he could have a home in the fairy world if he accepts it in the next 24 hours. With his life put in new perspective, Flint must determine where he belongs and which future to embrace. Hackman's evocative writing style draws readers into Flint's dilemma and the mystery of his heritage. While I would've loved to have more answers about Everwild and Lila's role, the vivid descriptions, moments of humor, and relatability of Flint made this a very enjoyable read! Tosk the squirrel is a tale-spinner, but would much rather be one of the heroes featured in the stories he tells. He travels to the Well of Fate to try to change his destiny. His quest involves danger, disappointment, and trickery, along with a lesson about the true origin of heroes. 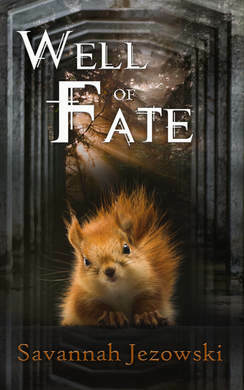 I'll be honest I wasn't sure how I'd feel about a story with a squirrel protagonist, but I found "Well of Fate" very endearing! Tosk had a way with words and a great sense of humor, and I definitely found myself rooting for him! The concept and setup of the Well of Fate were fascinating, and I enjoyed the surprise twist at the end! A very fun story! 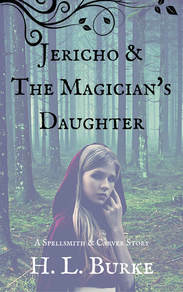 Performing magic as Master Spellsmith's apprentice is a dream come true for Jericho, but he feels guilty that his teacher forbids his own daughter, Rill, from learning anything about the trade. Jericho begins to instruct Rill in secret, just in time for her to help him fight a cat-like dragon escaped from the Fey Lands. This story is a prequel to Burke's Spellsmith and Carver series, and I really enjoyed getting to know some of Jericho and Rill's back story. Their friendship is so cute, and the world-building elements were very fun, including the unusual dragon and appearances from Jaspyr, the mechanical fox. Be warned that this story will make you eager to read the rest of the series! Ethaniel's reckless attempt to persuade the woman he loves to abandon her arranged marriage gets him banished from his place among the Brethren. His subsequent wanderings bring him into contact with Flavatorix, a dragon who is also a loner. But their unorthodox friendship is cut short when a herd of vicious creatures deprive Ethaniel of his new home. "Dragon's Oath" kept me guessing throughout the story! I loved the way Jones incorporated fascinating magical creatures like river dragons and Mohorovians, and I was surprised by how much of a bond I felt with Flavatorix in the short time we got to know him. The themes of friendship and self-sacrifice were handled well, and overall I really enjoyed the writing style. Filled with regret for a decision that brought harm to her village, Seta eagerly seeks out the Hallway of Three Doors. Her journey to the City of Frivolity and beyond helps her understand what she truly wants and gives her the courage to return to her village to make things right. This story was so fascinating and unpredictable! The mystery of the three doors definitely left me with some unanswered questions, but I found the ending very satisfying. I appreciated the growth of Seta and another character I'll leave unnamed, and Driver's writing style kept me engaged throughout. Perfect for fans of fairy tales! Rase faces the test that will determine whether he gets to enter the CCC - Creature Caretakers Corps. Worried that he may have reached the end of his dream career track, he enters the test determined to at least give it a shot. What he finds behind door number 4 is nothing like he expected, leading to both joy and heartbreak. The world-building in this story was so cool! The magic and fantasy creatures had me intrigued throughout. I also could really sympathize with Rase as he faced this enormous hurdle to accomplishing his dream. I wish we could've found out more about some of the secondary characters, but overall this was a very fun read! The attic trapdoor in Heidi's closet contains a portal to Lockwood, a fantasy land where she chats with fairies and centaurs, rides unicorns, and goes on adventures with her friend and crush, Shawn. But as her sixteenth birthday approaches, Heidi discovers her portal is about to close. She must spend the rest of her life in only one world, and she has a week to make her choice. As for a review...I'm probably a little too biased :) You'll just have to read the story yourself and come to your own determination! Dana travels with Jayden, a Sorcerer Lord, in part because they're friends, in part to try to prevent him from recklessly using his magic against the king and queen. 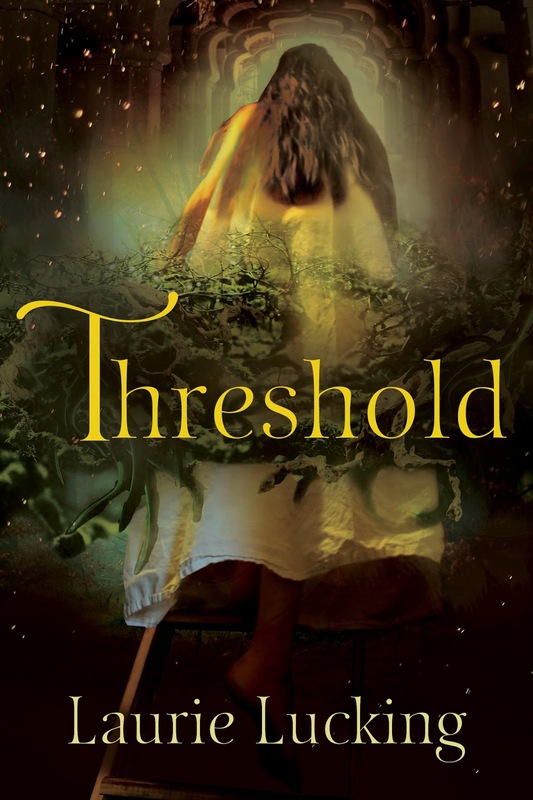 When they arrive in a small town that promises a quiet stay, they soon discover a dangerous connection between the company of soldiers who recently passed through and a mysterious deserted tower. This was another story with awesome world-building! I really enjoyed the banter between Dana and Jayden - something about their relationship and Jayden's role as a Sorcerer Lord was reminiscent of Doctor Who, which made me happy since I love that show :) The Idiot's Graveyard was a cool concept and a very creative twist on the Mythical Doorways theme! Bree despairs at the realization that her new world has no chocolate. The mouse mage works furiously to create a portal back to earth to satisfy her craving. Meanwhile, Alyn and his miniature dragon encounter strange magic that takes them to Katrina, a sweet human girl who is creating her own fairy land in her backyard. But Katrina's energy seems to be draining, and it's up to her tiny friends to help! "Cosmic Cravings" was brimming with originality and humor! Bree's obsession with chocolate was a bit over the top, though I'll admit I wouldn't want to live in a world without chocolate, either :) I found all the different points of view a little hard to follow at first, but it was cool to see all the stories come together by the end. As I mentioned above, animal stories aren't usually my thing, but Bakke's snark and creativity made this an exception! Gwyna unexpectedly encounters a dragon on a hunting expedition. With the dragon in hot pursuit, her only chance of survival lies in the magical doorway her grandmother has always warned her to stay away from. The doorway provides safety from the dragon - but in a way Gwyna never anticipated. I have to admit I found some aspects of this story confusing, but by the end I think I had things mostly sorted out :) I really enjoyed Schmidt's lyrical writing style, and the messages of peace and understanding were woven in beautifully. And what a fascinating use of the doorways theme! She definitely sparked my curiosity about the minstrel character that features in her Minstrel's Song series! Vassus is on a journey to learn more about his past, accompanied by an old man who claims he can help. But when their trek ends at a strange doorway that appears to lead off a cliff, Vassus fears the old man has lost his senses. Before the mystery of the door can be explained, Vassus' overwhelming heartbreak over being separated from his mother causes it to burst open. What he finds on the other side will forever alter the course of his future. I just love this title for the end of the anthology! Vassus was an interesting character, and I really liked the concept of the doorway he went through and what he learned in his experience. But I felt like the story ended too soon - we got the motivation for the adventure but not the adventure itself. The Roman Empire fascinates me, though, and Lynch added some great historical detail, so I'd be interested in reading more! As you can see, there's a wide variety of stories in this collection, so I really think there's something for every fantasy reader! You can find Mythical Doorways on Amazon and Goodreads. Want to join in more of the book release fun? The blog tour has involved so many reviews, spotlights, interviews and more! You can find the full lineup below. 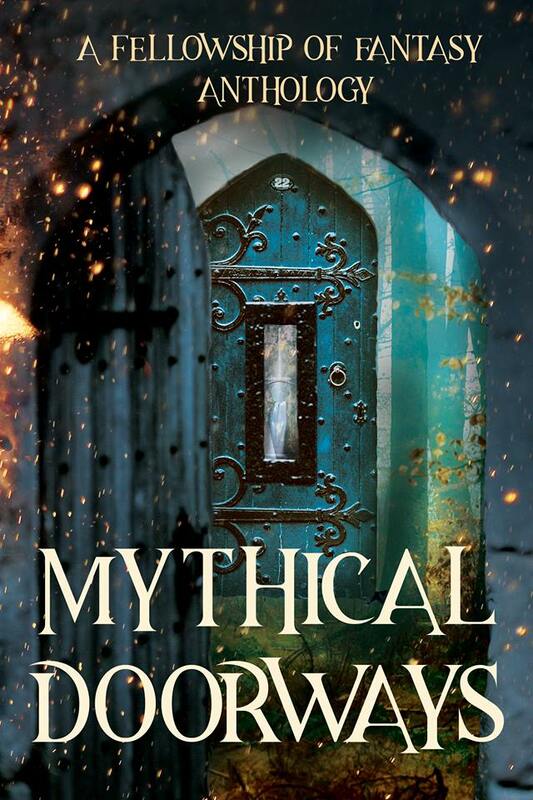 And the Fellowship of Fantasy is hosting a mythical doorways-themed writing contest! The contest is currently in the voting round - stop by here to see the fun stories writers came up with and to cast your vote! 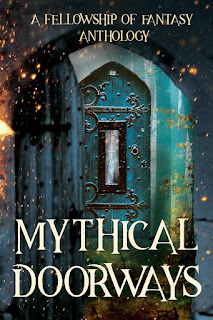 Finally, there's a Facebook party happening TONIGHT (Thursday, March 29th), featuring visits from many of the Mythical Doorways authors, tons of geeking out about books, and lots of giveaways!! The party runs from 8:00 to 10:45 pm EDT - we hope to see you there! Which of these stories sound most interesting to you? (It's okay if you don't pick mine - I promise I won't be offended!) Do you have a favorite short story collection? This is such an excellent and thought-out review, Laurie! I was surprised by the animal stories as well in how engaging they were (considering they weren't your usual protagonist). Definitely a lot of great stories (including yours)! That is a lot of great-sounding stories! And I already know how good your and Jill's stories are. Thank you so much, Elizabeth! It really is a fun collection of stories! Great review, Laurie! So happy to be with you and other super authors in this anthology! Thanks, Jill! I agree, it was such an honor to be part of this project! Sounds great. I snagged a copy from Amazon and can’t wait to read it! Thanks, KaLyn! I hope you enjoy it! !